University was organised over two days in 2011 and, the tenth, organised by Centre for Nepal Studies UK (CNSUK) also adopted a two-day format (19-20 April 2012) at Queensland College, Reading. The organisers maintained the tradition of offering a forum to budding student researchers as well as experienced academics from a range of disciplines, researchers were encouraged to present their research and projects at various stages of development. These diverse presentations were threaded together by their relevance to Nepal or the Nepali cultural world. Even though we aimed to accommodate as many papers as possible, we had to be selective because of the large number of submissions. Eventually, we managed to include 30 papers for presentation. For the first time, we also introduced poster presentations to the NSD, and five were selected for display this year. 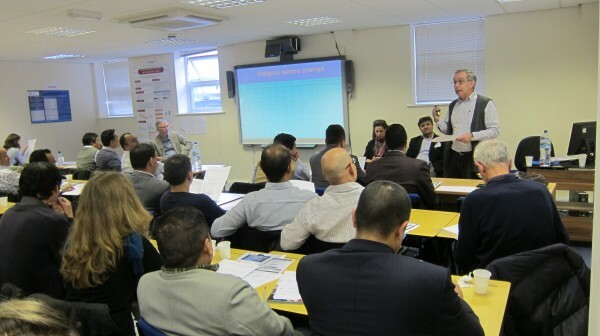 In total, 68 participants (excluding community members) from the diverse fields took part in the two-day programme, and participants came not just from within the UK but also from Nepal and other European countries. ora and one to ethnicity. Keeping the duration of each presentation to 15 minutes followed by a 5 minute discussion enabled us to bring many fresh and interesting research works related to Nepal together. At the end of the two-day programme, an interesting 30-minute film, ‘Secrets of Dhaulagiri’ by Prabesh Suebedi, was screened. This was the first time that the NSD was organised outside a university structure and close to the local Nepali community. 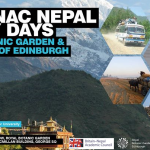 A large number of diverse studies related to Nepal and Nepali culture are presented at NSD every year for academic purpose but without participation of or any direct benefit to the growing Nepali community in the UK. In order to make the Nepali community aware of this BNAC activity and enable them to benefit from it, this year’s NSD sought to involve them in the organisation of the event. 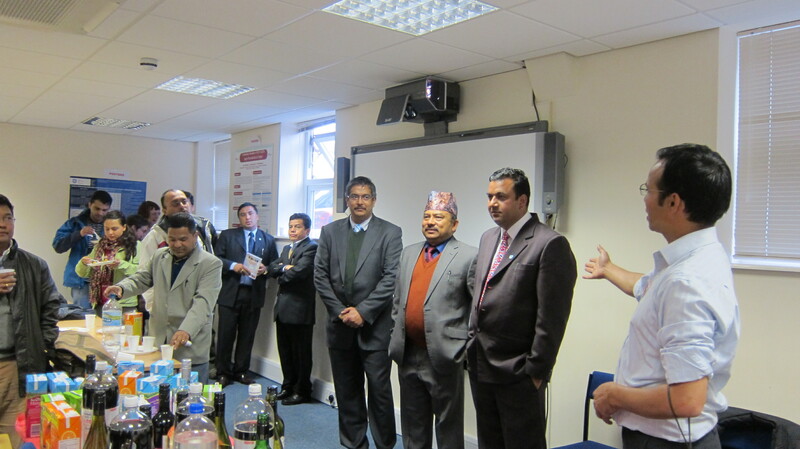 As a result, the Non Resident Nepali Association (NRNA) UK, the Greater Reading Nepali Community Association (GRNCA) and Queensland College Reading joined hands as the local community partners. With their generous financial help, we managed to help a number of masters and PhD student presenters to meet the cost of their travel and registrations. 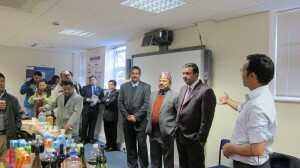 These local communities, along with the Gurkha Square Tandoori Restaurant, provided a free venue, tea and coffee and subsidised cost of Nepali lunches, and even hosted a reception. Those who attended the dinner also met singers from Nepal and enjoyed Nepali Gazal perfermace. Furthermore, some local community members also attended the programme for the full two days as participants. CNSUK is grateful to all participants and local community partners and feels that by organising this event, it has further consolidated the institutional partnership between BNAC and CNSUK and contributed to its motto of “advancing knowledge on Nepalis”. We look forward to attending the 11th successful BNAC study day in another institution in the UK. The detail programme, abstracts of the presentation and photos of the event can be accessed from www.cnsuk.org.uk or www.banc.ac.uk.